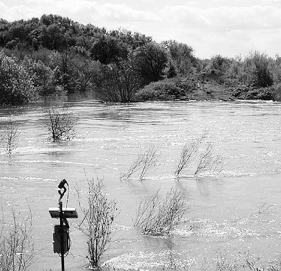 Cosumnes I focused primarily on the relationship between hydrologic conditions and aquatic ecosystems. Cosumnes II, also funded by CBDA/CALFED, built on this earlier work, but emphasized the connection between aquatic and terrestrial systems in floodplain environments. This project continued the monitoring of basic ecological and hydrological processes, but expanded to include investigations of: patterns of restoration success, groundwater and vegetation interaction, linking aquatic and terrestrial ecosystems, bird populations as indicators of ecosystem integrity, and data management for ecosystem monitoring. The Cosumnes 2 phase of the project ended in 2004. Reports and papers are posted within the report, and in the CRG2 Reports and Publications section.